Our Sixth Form social evening was a great success on Saturday evening. 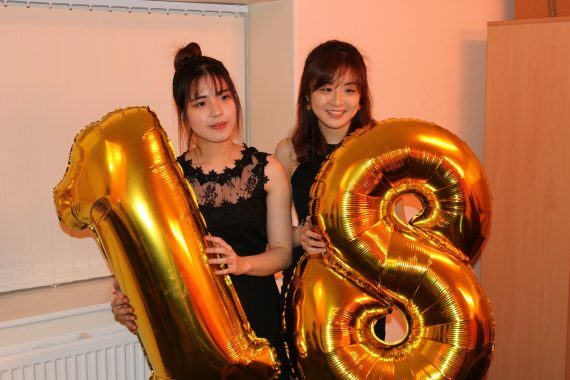 All of the students’ hard work decorating the room, planning the buffet and finding recipes for non-alcoholic cocktails, as well as making giant playing cards and ordering red carpets and balloons, paid off creating a very glamorous and glitzy event. It was a very well attended event with everyone dressing up for the occasion, including black dresses, bling jewellery and even some bow ties. 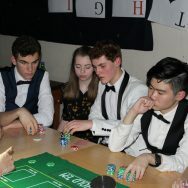 Tables were set up for different games and croupiers were chosen to man each one. An excellent, fun evening was had by all.